What’s New for Abalone This Year? Question: What are the new abalone regulations that will go into effect this year? 2) Individuals taking abalone shall maintain separate possession of their abalone. 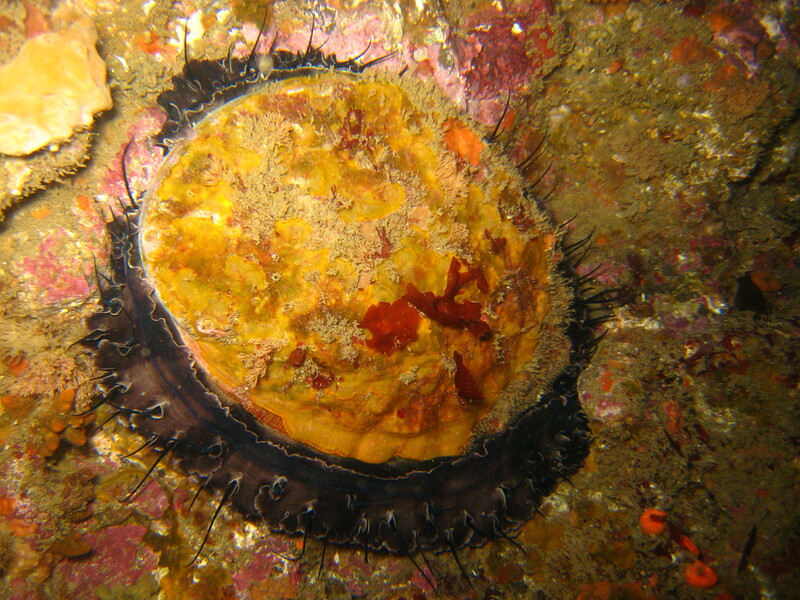 Abalone may not be commingled in a float tube, dive board, dive bag, or any other container or device, until properly tagged. Only after abalones are properly tagged (as described in CCR Title 14, section 29.16 (b)), may they be commingled with other abalone taken by another person (CCR Title 14, section 29.15(g)(1)). Question: I have a friend who lost some livestock to either coyotes or a mountain lion. He wants to protect the rest of his animals and was advised to contact the local government trapper. How can a person become a licensed trapper authorized to track down and remove these problem predatory animals? Answer: Contact the United States Department of Agriculture (USDA) Animal and Plant Health Inspection Service (APHIS). The mission of this agency is to provide federal leadership and expertise to resolve wildlife conflicts to allow people and wildlife to coexist. For more information, please go to www.aphis.usda.gov/wildlife_damage/. Why are there restrictions on black powder revolvers? Answer: There is ever-increasing technology that provides for methods of take not currently authorized by the Fish and Game Commission (FGC). As new methods of take are developed, proposals to the FGC can be made for possible additions to the current legal methods authorized by the regulations. Until then, they may not be used. Answer: Fish and Game laws do not prohibit you from returning the fish waste back to the ocean, although local ordinances may. Check with local police or harbor patrol officers for certainty. Once ashore, there is no requirement to keep fish in a whole condition. However, you must retain enough of the fish in order to accurately measure it. Generally, removing the guts is not an issue in determining size. How to replace a lost license? Answer: DFG’s new automated licensing system stores all sales transactions in a database. Simply visit a license agent or DFG office, provide your identification and indicate that you need to replace a lost or destroyed license. The system will verify your initial purchase and issue you a duplicate license. The new system will also be able to replace any additional validations you had to purchase. A duplicate license and replacement fee will be charged. This entry was posted in Abalone, Diving, Firearms/Ammunition, Licensing/Permits/Stamps/Report Cards, Saltwater Fishing and tagged abalone, archery, firearms, fishing, Licenses, mollusks, nuisance wildlife, ocean fishing, optics, regulations. Bookmark the permalink.